If you have little ones then most likely you've heard of Robeez before. 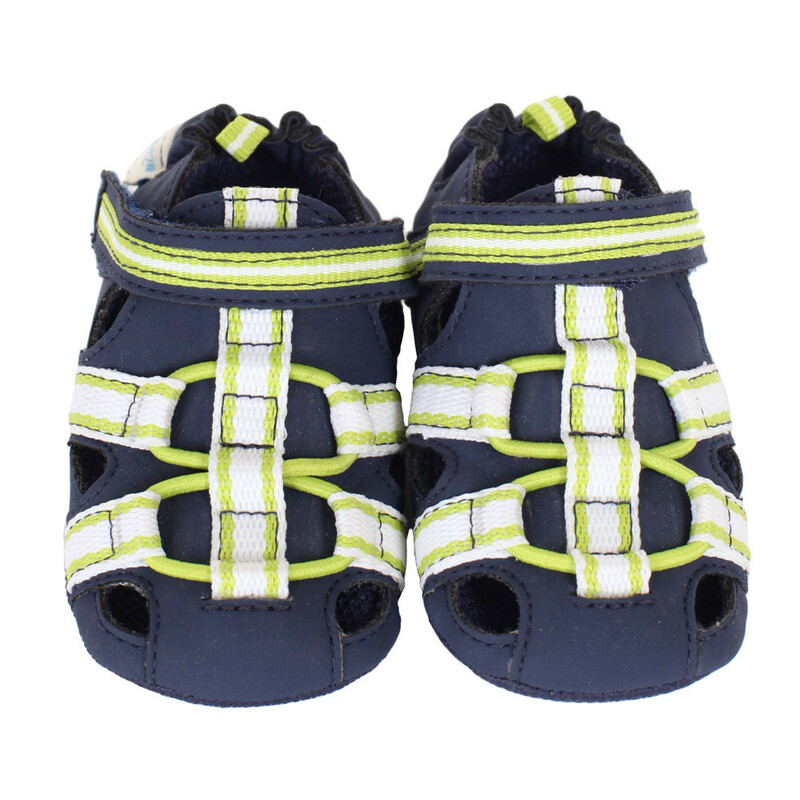 They are wonderful shoes from sizes 0-24 months. They are the perfect shoes for baby's growing feet and I love that they tailor to those early stages when the feet grow the most. Emerson is 16.5 months old, but he has little feet, so the 6-12m fits him pretty perfectly. If I was just getting these shoes I'd opt for the 12-18 though since they don't have much growing room left, But above here he was wearing them with socks and now he doesn't and they fit him both ways. They don't leave marks, but are tight enough to stay on. These are soft soles, so they're not made for much walking. Emerson likes to wear shows in the house (all day long actually) and then if we go somewhere like the park where he'll be in the grass or somewhere he'll be in a stroller/carrier for a while. If I plan on him doing a lot of concrete walking then we put him in a harder sole. These shoes are very well made. They are machine wash AND tumble dry low which is AWESOME for these shoes. They are made out of leather as well, which is very flexible and will help mold to baby's feet. I just love the ease of use of soft sole shoes like these. It allows him to wear his shoes all day and not worry about them leaving marks or him tripping because they're too hard. They have SO many adorable styles! They also have the Mini Shoes line which has a bit of a sturdier sole (rubber instead of suede) and they also have velcro to adjust. Price: The Shoes we received were $25 and are on sale for $19.99! This is an awesome price for such an awesome shoe! I love Robeez shoes. I used to put them on my kids when they were babies. Super cute shoes! My grandchildren had this same pair of woolies. You must cloth diaper. I made those woolies, but yes I do cloth diaper!